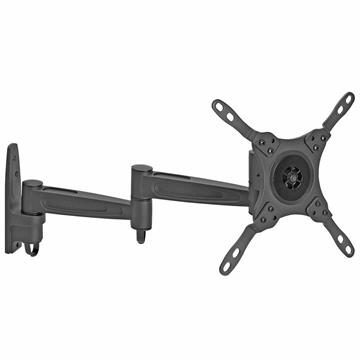 These wall mount brackets can accommodate the following sizes of Samsung television sets: 17, 19, 21, 23, 25, 27, 32, 37, 42, 46, 48, 49, 50, 52, 58, 60, 63, 65, 75 inch. Options to choose from include fixed, full motion, tilt and ceiling TV mount brackets. Pick a model with a swivel arm to move your TV sideways by up to 90 degrees. Full motion mounts for TVs between 17-75 inches that can fit anywhere, even in a corner.